Collective Sunshine is located 30 minutes by bicycle from the Stockholm city center (on beautiful bicycle roads next by the water). We know how hard it can be to find new friends when you move abroad. 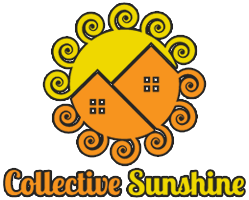 With its 12 bedrooms, there are always people to hang out with at Collective Sunshine! Collective Sunshine cares about nature. Our kitchen is a wonderland! The quirky sequined pillows produce a spectacular light show when the sun is peeking through the window at #collectivesunshine ! Now this is the end result of collective sunshine’s first 2018 ginger bread production. The Christmas time has officially begun! Three rooms available for rent in Collective Sunshine, a 12 bedroom house in Spånga! Two available immediately and one from 1st of January 2019. They are all for long term staying (no set end date). Oh, and we are definitely looking for social people. There is a lot of board games, hugging (for those who want), hanging out, movie evenings and some cooking going on at home. Nobody wants to be social all the time but we do enjoy hanging out with each other and hope you feel the same.